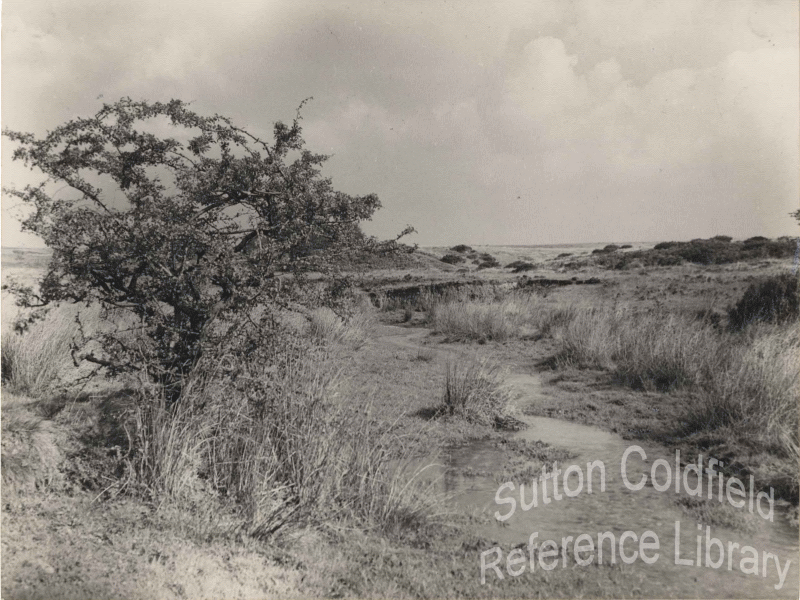 Sutton’s common lands are remembered today in names such as Hillwood Common, Reddicap Heath and Wylde Green. But go back to Tudor times, and they formed half the area of Sutton - about ten square miles. The commons were the uncultivated land where there were no fences, generally having barren soil, rough grassland with tracts of gorse and heather. Go back another six hundred years, and the vast tract of common known as the Coldfield completely surrounded the town. By 1800 the largest expanse of common, still called the Coldfield, covered what is now Boldmere, and a huge swathe of commons swept round the north of the town from Four Oaks to Roughley. To the east the commons were interspersed with cultivated land, and each stretch of common had its individual name, such as Withy Hill, Whorwoods Field, or Echelhurst. Some areas of common, such as Ley Hill Common and the Coneygreve, were surrounded by farmland. Other, smaller areas of common land were the village greens at Maney, Little Sutton, Four Oaks and Wylde Green. No individual could own any part of the common land, but everyone had rights. You could wander freely over the commons, your sheep could graze there, and you could gather sticks for fuel. There was a curious Sutton custom called Lot Acres, whereby you were allocated an acre of common land to cultivate for a five-year cycle of crops; that acre then returned to common and you could have a different one for the next five years. Poor people in particular felt the good of this, and over time there was another benefit to the poor, because squatting was not forbidden. A person who built a rough shelter on the commons was sometimes allowed to stay and have a little land, gaining a foothold in Sutton. Eventually there were over a hundred cottages which had begun as temporary shelters in this way, swelling the population of poor labourers among the more prosperous Suttonians.